Stylish updates, tasteful colors & high end details make this 3 bedroom w/bonus rm truly special. Light & bright end unit has 10 ft. ceilings with plenty of natural light. Kitchen features 2-tier breakfast bar, SS appliances & an abundance of cabinets. Brkft nook opens onto private patio/lawn area. Living room features gas fireplace & balcony. Master suite w/walk-in closet. 2-car garage w/built-in storage. 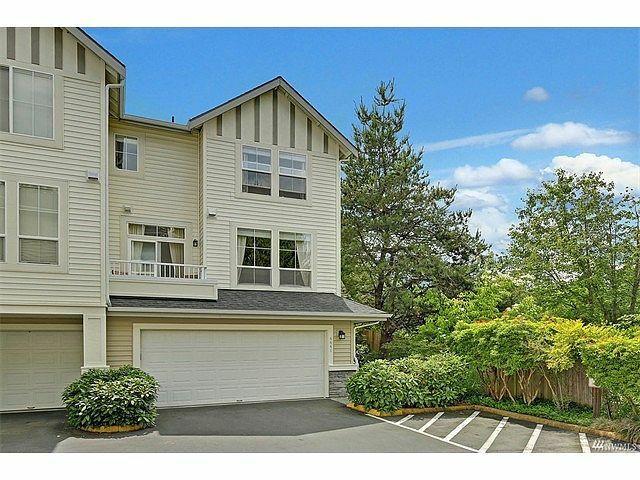 Great location, next to shopping center, swimming pool, parks plus Issaquah schools.